The sequel is finally within reach! The first teaser trailer for Spider-Man: Far From Home has officially dropped and seems to be everything that fans have been waiting for over the past two years. We’re getting Peter Parker (Tom Holland) and his friends MJ (Zendaya) and Ned (Jacob Batalon) in Europe for a class trip. Of course, Peter can’t leave the suit at home as their trip is soon threatened by Spider-Man’s next foe, Mysterio (Jake Gyllenhaal). The teaser keeps spoilers to a minimum, focusing on a flirty bit between Aunt May (Marisa Tomei) and Happy Hogan (Jon Favreau) as well as Peter’s excitement about his trip and his developing feelings for MJ. What we do see of Mysterio is brief, but a great tease, with Gyllenhaal fully suited up and his powers on full display, as well as Spider-Man’s powerful new “flying” suit. Also, SPOILER ALERT, it’s been allegedly confirmed that Far From Home takes places after the events of Avengers: Infinity War in which Spider-Man was one of the fated deaths at the hand of Thanos. It also takes place after the events of Avengers: Endgame, which fans have yet to see, and will involve Spider-Man getting back to normal life. 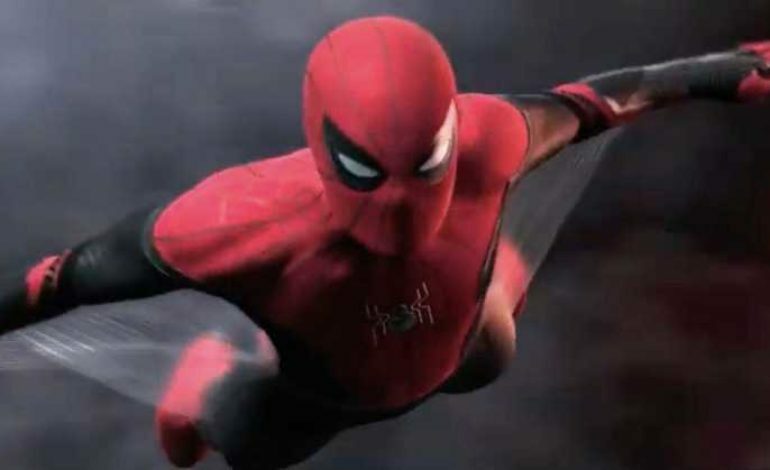 Spider-Man: Far From Home is helmed by returning director Jon Watts and also stars Angourie Rice, Samuel L. Jackson, Cobie Smulders, Tony Revelori, Martin Starr, and more. Check out the teaser below and see the film in theaters on July 5.